By J. Gordon Daines III (BA ’97), University Archivist. 125 years ago: On Nov. 12, 1888, settlers in Rexburg, Idaho, open the Bannock Stake Academy, which later becomes Brigham Young University’s sister school, Ricks College, now BYU–Idaho. 100 years ago: Harvey Fletcher (BS 1907) teaches BYU’s first course on vector analysis. 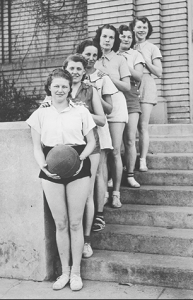 75 years ago: Interclass sports competition flourishes at BYU during the 1930s. 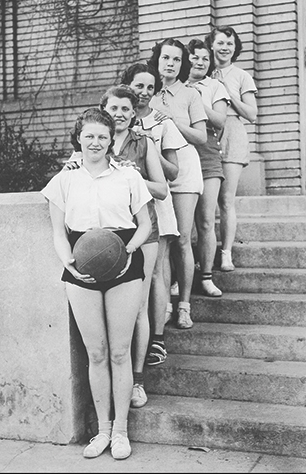 Pictured is the junior class women’s basketball team that won the 1938 championship. 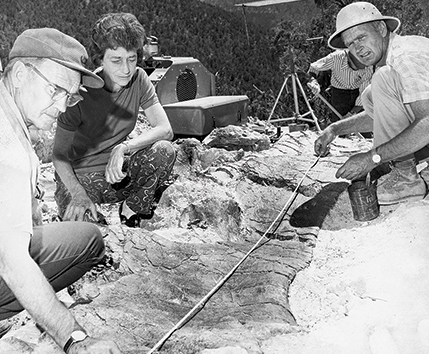 50 years ago: BYU archaeologist James A. Jensen discovers a triceratops skull while digging near Fort Peck Lake in Montana and brings the skull back to Provo. 25 years ago: BYU president Jeffrey R. Holland (BS ’65, MA ’66) receives the Torch of Liberty Award from the Anti-Defamation League for improving understanding between Christians and Jews during the establishment of the Jerusalem Center. 10 years ago: Pro golfer Mike R. Weir (BS ’93) wins the 2003 Masters Tournament. 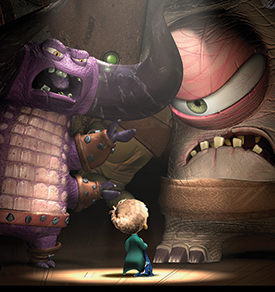 5 years ago: The student-produced animated short Pajama Gladiator receives the Producers’ and Viewers’ Choice Awards at the Nicktoons Network Animation Festival.